Independent testing helps ensure that a safe offers the level of protection claimed by the manufacturer. There are many different organizations who offer testing, certification and approval for fireproof safes. Several have become well-renowned in the industry because of their expertise and experience. Here are some of the organizations you might see mentioned when looking for a fireproof safe. ECB-S: The ECB-S is the certification arm of the European Security Systems Association (ESSA). ESSA originally formed in 1967 and now encompasses many organizations across Europe, including some of the most highly regarded testing labs. A certificate of approval from an ECB-S lab is a sure mark of quality. Safes that are given these certificates carry a special blue badge. Safes tested and certified by any of these labs will almost always be ECB-S approved. There are many other testing labs throughout the EU which also test safes for fire and/or burglar resistance. A testing lab does not have to be an ECB-S member to provide certification to the European EN standards. However, some argue that the ECB-S labs have greater experience and knowledge and so can test a safe more thoroughly. 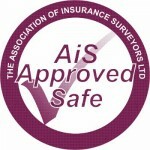 AIS: The Association of Insurance Surveyors is a British organization which only grants their approval to safes that have been tested either by the ECB-S or by another AIS-approved testing lab. This means you can be certain the safe provides the protection it claims. LPCB: The Loss Prevention Certification Board is an independent British testing and certification agency. They primarily test safes to determine their burglar resistance, either based on European standards or on the LPCB’s own set of standards. Other British organizations which may give their approval to a safe include Sold Secure and Secured By Design. Again, their primary focus is on security/burglar resistance rather than fire resistance. They are operated by the Master Locksmith’s Association (MLA) and the Association of Chief Police Officers respectively. Some manufacturers are also part of Eurosafe UK, an industry body established to promote best practice when it comes to safe testing and certification. 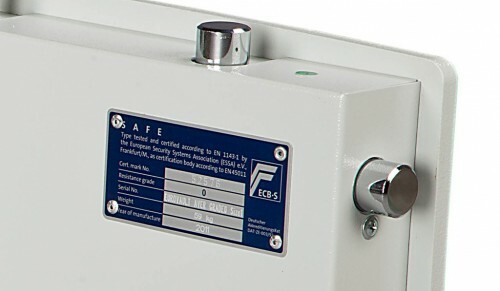 Members of Eurosafe UK must adhere to a certain code of conduct when it comes to disclosing information about how their safes are tested, guaranteeing transparency and accuracy, as well as piece of mind for the consumer.